patiently like the rest of us True Blue Dodger Fans for Melbourne pitcher Shane Lindsay to get healthy and up-to-speed before lighting up area radar guns with his atomic splitting fastball. It’s a warm day outside the gate of the players’ entrance to Camelback Ranch. As the players enter in their SUVs with radios blaring and bling flashing in typical Hollywood style, they simply nod to the semi-retired security guard working the players’ gate entrance prior to driving in one-by-one. However, when Aussie Shane Lindsay approaches, a modest smile and a cordial “g’day” is offered. After parking his vehicle, the fashionably-conscious Lindsay exudes confidence. 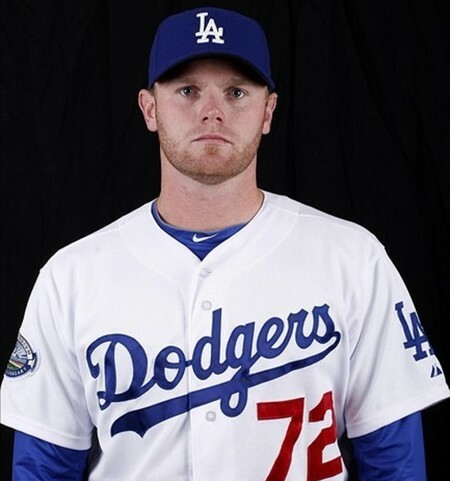 Despite not having thrown one pitch for the Dodgers and being reassigned to the Dodgers Triple-A affiliate Albuquerque Isotopes, Shane remains optimistic that he will be making his debut in a True Blue uniform at Chavez Ravine shortly. 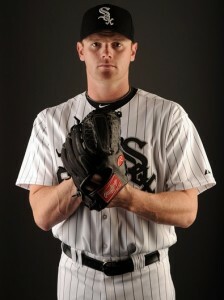 The 27-year-old Lindsay made his MLB debut for the Chicago White Sox in September 2011, and the LA Dodgers took notice. front of a sold-out Comerica Park. Shane Lindsay pitched one inning as a reliever at Comerica Park that night and allowed no hits with a strike out and a walk. The six-foot-one, two hundred five-pounder made three other relief appearances before the end of the 2011 season. 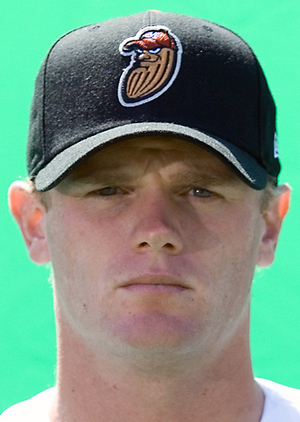 Lindsay elected free agency in October 2011, and agent Paul Kinzer reported in November that his client had signed with the Los Angeles Dodgers. Shane said, “We were in discussions for a while. We had talked to around ten different teams. I sort of left it in the agent’s hands (to choose) the best suitoring situation and what he felt. That’s kind of his job I guess. So far it’s been good, you know. Obviously I haven’t played for them yet or even thrown a pitch, but I like it so far. It’s a bit slow of what I had hoped it to be. I unfortunately suffered a setback–a strained lat muscle right before Spring Training–and it sidelined me for a majority of it so far. 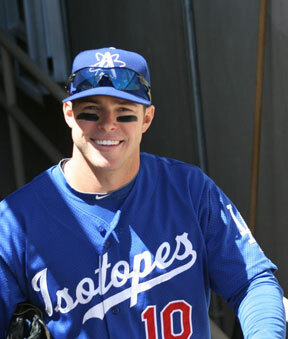 So we’ll see how it comes up in the end.” Lindsay has been working hard to be ready for the start of the 2012 Albuquerque Isotopes season and for his eventual call up to the LA Dodgers. ABQ baseball history dates back over 120 years. 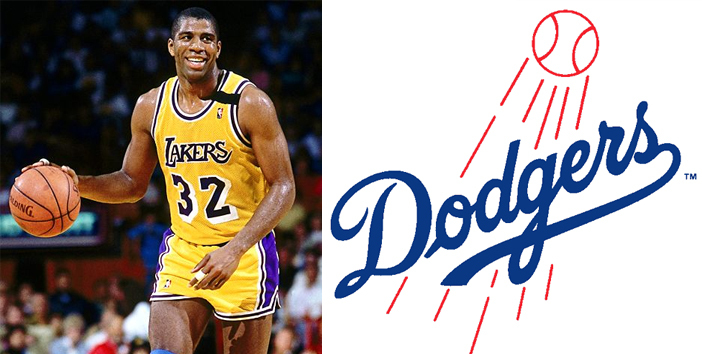 Fellow Aussie Trent Oeltjen is elated to have Shane Lindsay in the LA Dodger organization. Lindsay joins another Australian in the Dodger organization, Trent Oeltjen. Shane spoke of their friendship and the warm reception he received at Dodger camp in Glendale, Arizona. “We’ve lived together and been mates for a longtime now. (During) a few different Spring Trainings, he has stayed with us. We’ve become close over the years. It’s been very good for the both of us to sort of play together. I think he’s excited as I am…I know his wife is too. So it’s good to have another Aussie, and everybody here has been fantastic–very friendly, very outgoing.” Australia has produced over 330 players who have signed professional contracts with Major League Baseball (MLB) clubs and boasts more MLB contracted players than talent pools from China and its province in Taiwan, Japan, Korea and Cuba. 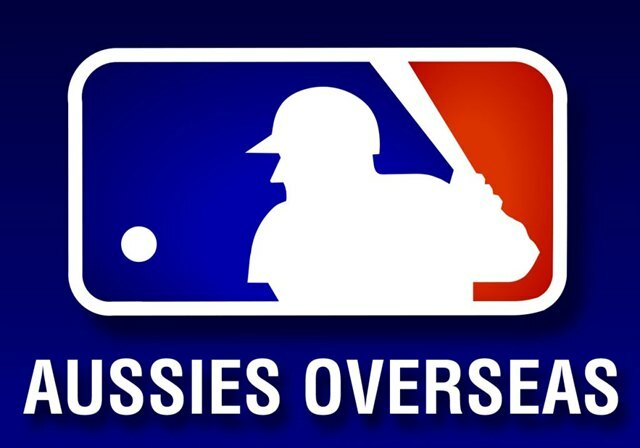 Australia set a country-best record in 2011 with nine Aussie major leaguers. 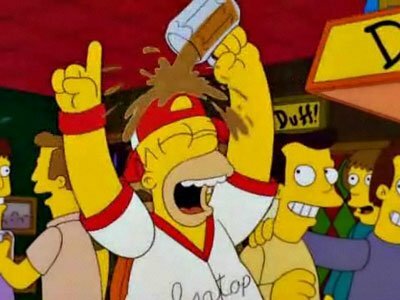 Homer Simpson will welcome Shane Lindsay to Isotope country. The team’s name was voted on in an online survey of readers of the Albuquerque Tribune. Officially, there is a tie-in to New Mexico’s history with nuclear energy, but really it’s about the episode of “The Simpsons” where Homer goes on a hunger strike to prevent the Springfield Isotopes from moving to Albuquerque. Homer Simpson lives at Isotopes Park. 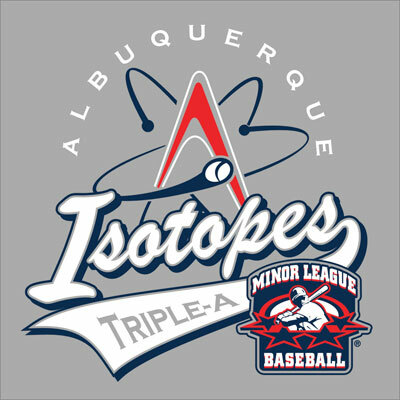 However, the Albuquerque Isotopes prevailed in the end, and The Simpsons have found a home there too. 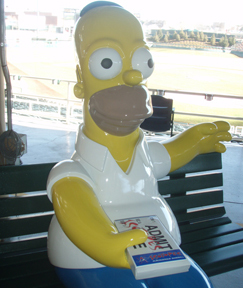 Life-sized figures of Homer and Marge grace the main concourse, a mural of Homer haunts the ‘Topes clubhouse and all sorts of other whimsical tributes to America’s favorite cartoon family are discovered throughout the ballpark. 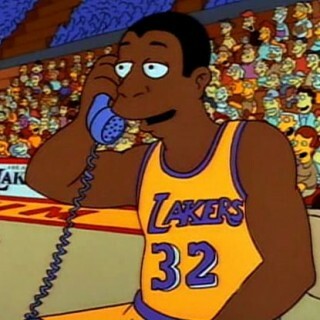 The Simpsons have had their share of airtime, but now all eyes are on pitcher Shane Lindsay. He is known as an aggressive reliever with an electric fastball in the mid-to-upper 90s and a wild delivery. Throwing with extreme intensity, no pitch delivery is ever the same. Shane Lindsay has a sharp curveball that freezes hitters and results in less than desirable at-bats. Not afraid to throw his fastball inside, Lindsay lives on the edge and provides high drama every outing on the mound. As a pitcher for the Colorado Rockies minor league affiliate Modesto Nuts, Shane Lindsay was rushed to the hospital to have eight screws and a metal plate surgically implanted in his left hand after being attacked outside a California restaurant in May of 2008. 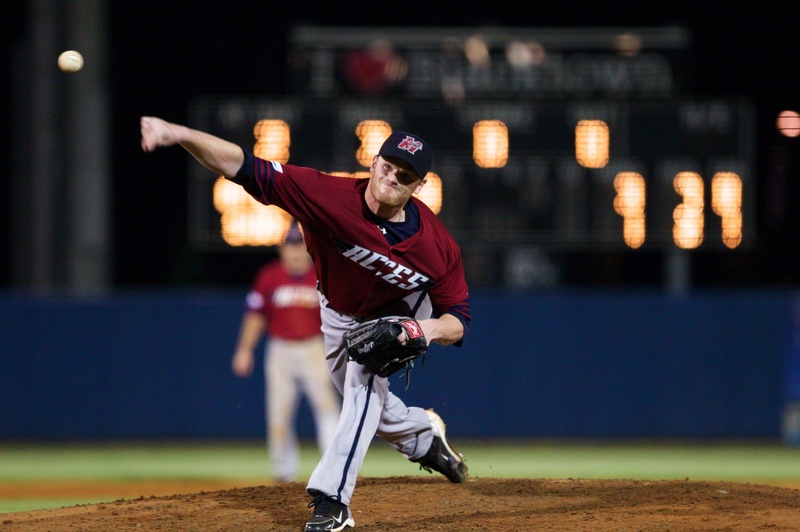 Shane Lindsay pitched for the 2011-12 Melbourne Aces in the Australian Baseball League. Ace pitcher Shane Lindsay was dominant in the ABL knowing that his command was on the improve. Lindsay has been working diligently during the offseason so that he is granted access to the 2012 Dodger Clubhouse. 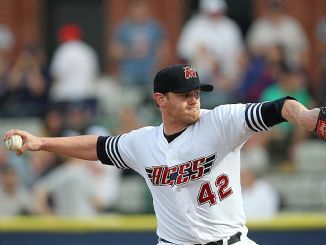 Pitching for his hometown Melbourne Aces in the Australian Baseball League, Shane was able to stretch out as a starter and solidify his mechanics. Ace manager Phil Dale, who also coaches the Australian National team, praised Lindsay for his strength and his boost to the team. “He’s what you call a power arm,” said Dale. “It’s like a Brett Lee in bowling. He’s one of the fast bowlers, but what the baseballers call power pitchers.” Lindsay enjoyed his time in the ABL. He said, “It was a fantastic opportunity for me personally. It allowed me to go home from the White Sox–where we were really breaking ground on mechanics stuff and approach to the game–and it gave me a platform to work on it. Phil Dale was good enough to allow me to start and get a lot of repetitions in and a lot of different things. I felt like I achieved a lot. My numbers were not fantastic, but at the end of the day we’re trying to achieve certain goals. I think I achieved them, and I can’t wait to show that I have.” Seemingly scripted for the entertainment capital of the world, the timing is perfect for Isotope relief pitcher Shane Lindsay to show his best stuff in Albuquerque so that he is able to steal the Magic show and go prime time in Los Angeles. MY WIFE AND I MET SHANE 6 YEARS AGO. HE IS A GREAT GUY AND GREAT PITCHER. THE HITTERS IN TRIPLE A COULD NOT HIT HIM LAST YEAR. OPPONENTS COULDN’T EVEN HIT .150 AGAINST HIM. IF HE CUTS DOWN HIS WALKS, HE CAN BE A STAR.